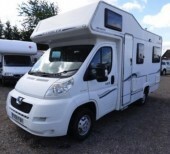 The county of Kent has many locations from which the owners on Camperbug have bases from which their camper vans can be hired. If you’re looking to rent a VW and you are near Maidstone, Canterbury or Dover, then message a camper van lender today and they can answer your query. We have also vans available for those in or visiting Folkestone and Rochester too. I am Florencekent, hire me today! Florence or Flo! is a newly restored and a left hand drive so it really is a rare and unique experience driving such an iconic car. She is available for private or corporate bookings. Florence already had several bookings including a weekend at a summer festival, and a weekend’s camping as a birthday surprise. You can even hire her for a week if you wish to plan an extended holiday and travel in style! 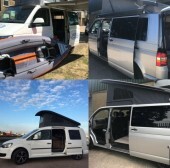 Twix is a White Sportline VW Transporter with a brand new conversion. Comes with everything required for a great camping trip. 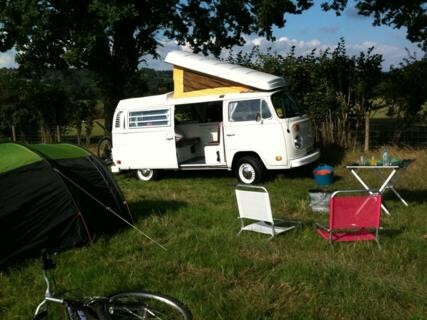 Put yourself in the driving seat of our beautiful vintage VW campervan and embark on a great adventure. Caddy Maxi micro camper. 130k Newly converted with westdubs poptop roof with elevating bed fitted. Smart beds rock and roll bed, Majestic wood designs interior furniture, Fridge, Mains hookup, Split charge system. The van is a VW Bay Window Microbus/Campervan available solely for weddings. 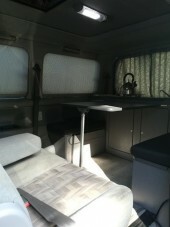 1995, T4 Green pop top, Westfalia factory conversion, automatic with cruise control. Our 1974 VW Campervan is available for your wedding, prom or special occasion. Chauffer driven. Prices on request to include a bottle of fizz alcoholic or non! Ribbons in your choice of colour. Our Bella The Bus is only available for weddings & events and not for holiday hire. Sorry! 1973 VW T2 Bay Window Campervan.